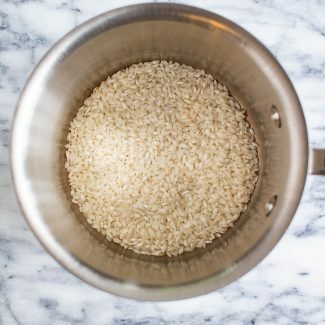 Ever wondered how to make risotto? 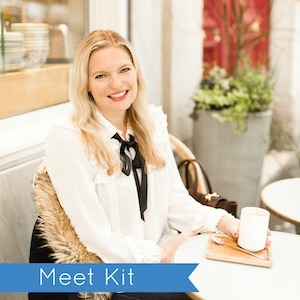 Today I will teach you how to make risotto with these detailed step by step instructions. 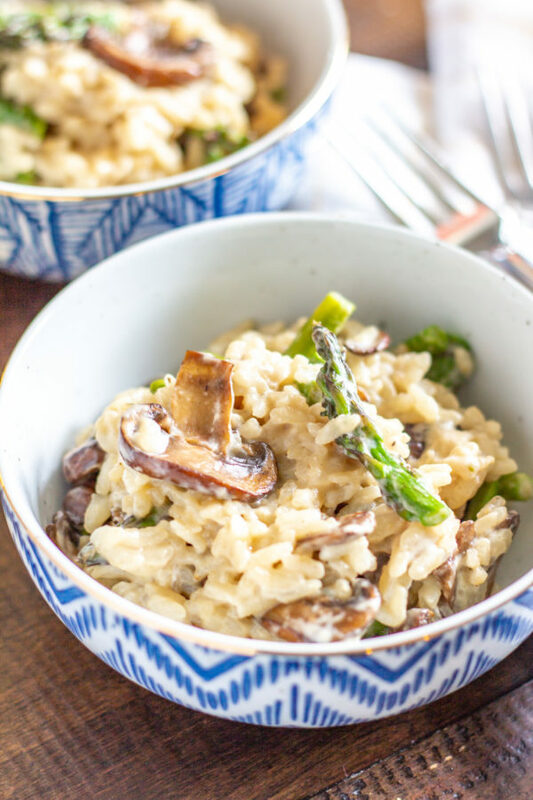 I first learned to make risotto a few years ago, and now it is one of my go-to meals. 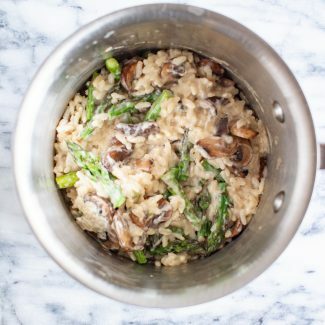 I know that people are intimidated by the idea of making risotto at home. 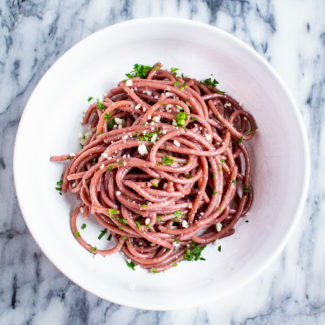 It’s something you order at a restaurant, but not something that you make yourself. But! 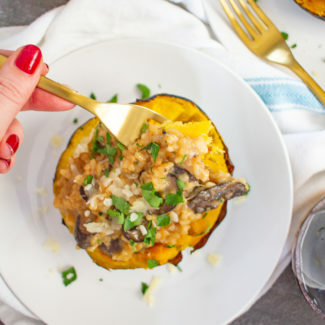 Risotto is surprisingly easy to prepare in just about 25 minutes. And don’t worry, you don’t have to stir it the entire time (I don’t know how this rumor got started). 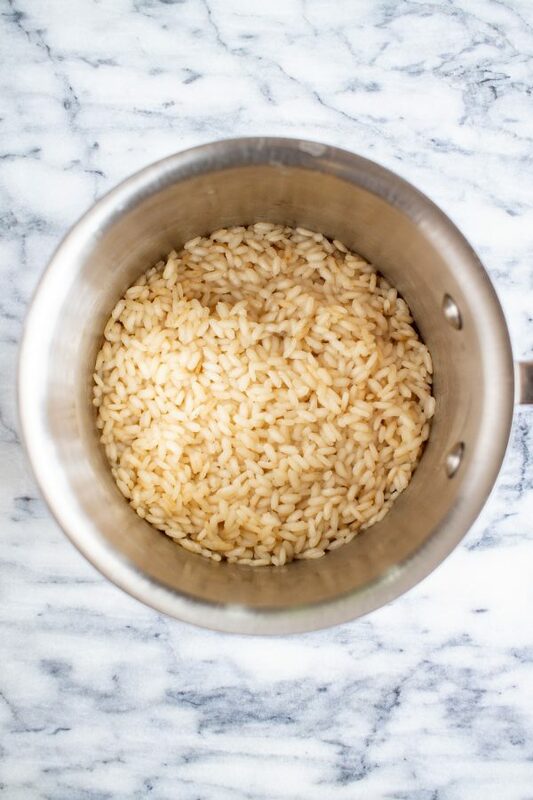 The thing that I love about risotto is that it is made with two basic ingredients that you probably have in your pantry: rice and broth, plus a touch of butter and salt. 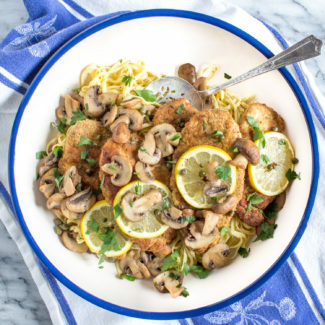 Then you can add in any cheese or vegetables that you might have in your fridge. 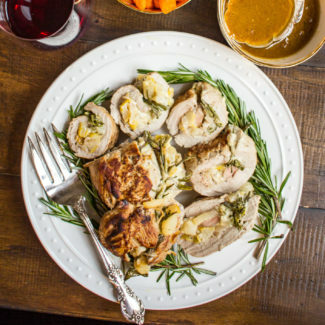 It is the ideal meal to prepare when you “have nothing to eat” at home. 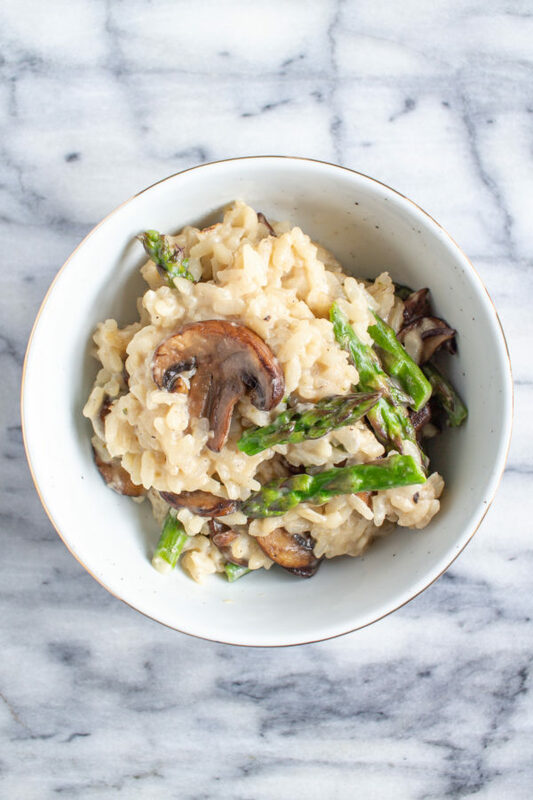 I found some mushrooms, asparagus, and goat cheese in my fridge on the day that I was making this risotto. 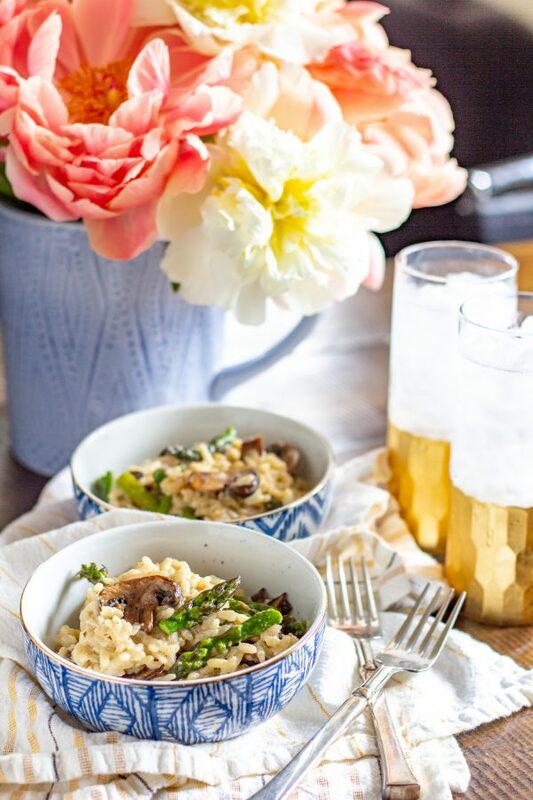 Goat cheese and risotto go very well together. 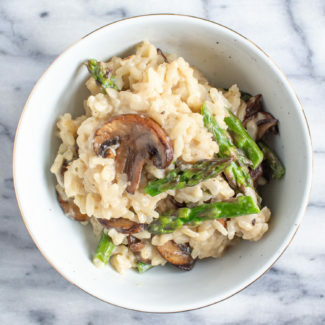 It gives the risotto a creamy texture and a cheesy flavor. 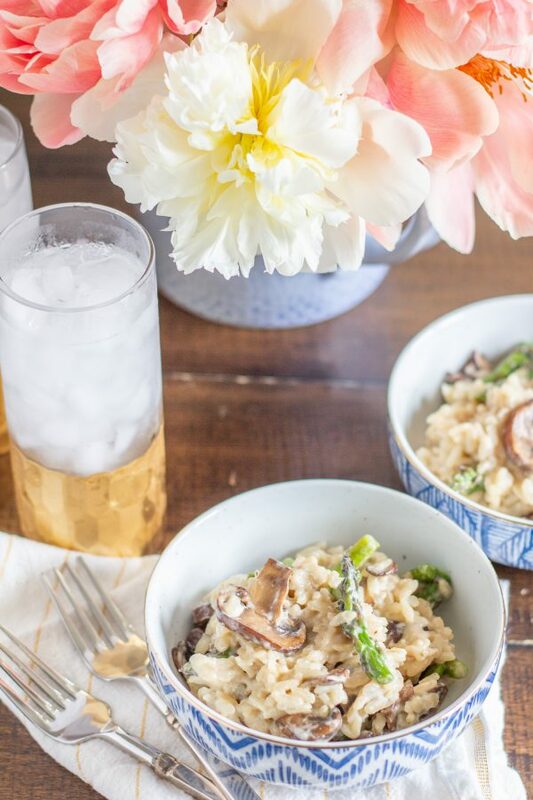 In the past, I have added ingredients like leftover chicken, broccoli, bell peppers, sugar snap peas, zucchini, butternut squash, lemon juice, and slivered almonds to risotto. 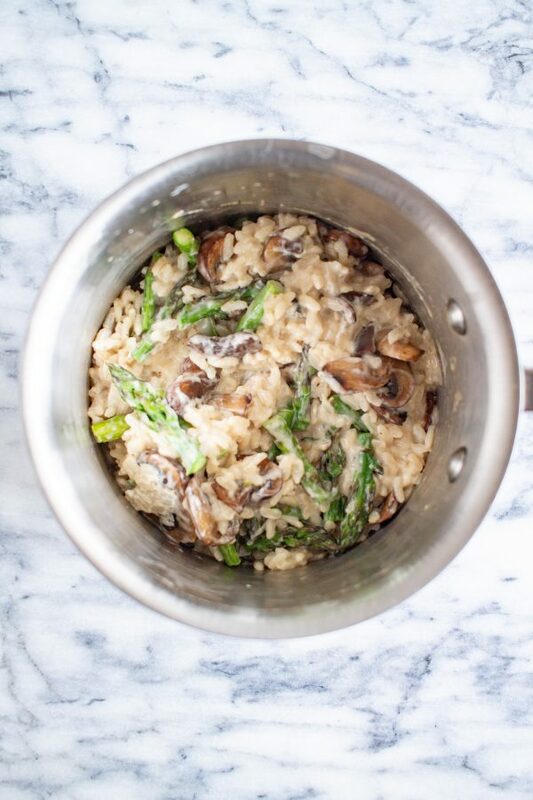 I love adding lots of vegetables to turn the risotto into a complete meal. 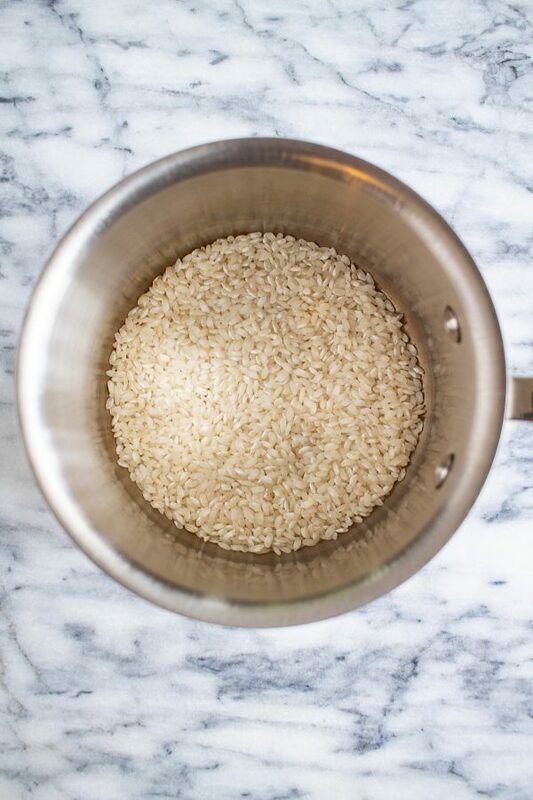 There is one simple secret to making risotto quickly. 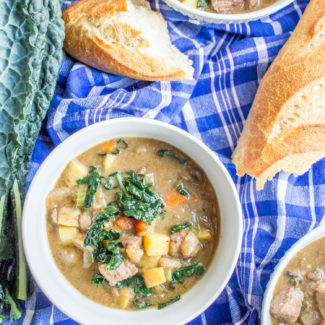 You need to use simmering broth. 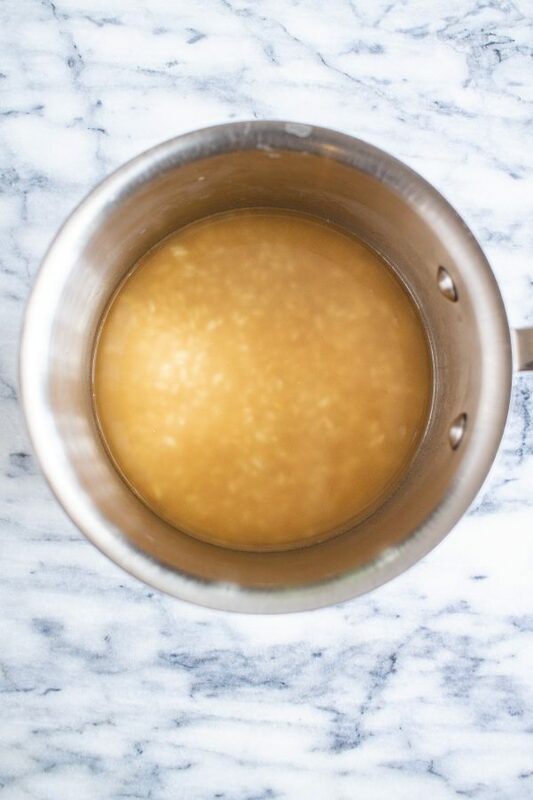 If the broth isn’t nice and warm, it is going to slow down the cooking process every time you add broth. This increases the cooking time. 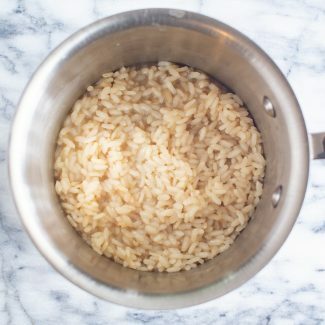 So keep a pot of simmering broth on the stove next to the risotto and it will cook so much faster. 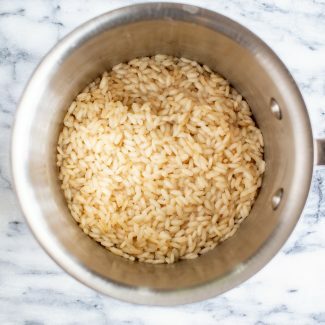 I have found that adding broth to the risotto three times results in perfectly cooked risotto. You want it to be toothsome and not totally soft. 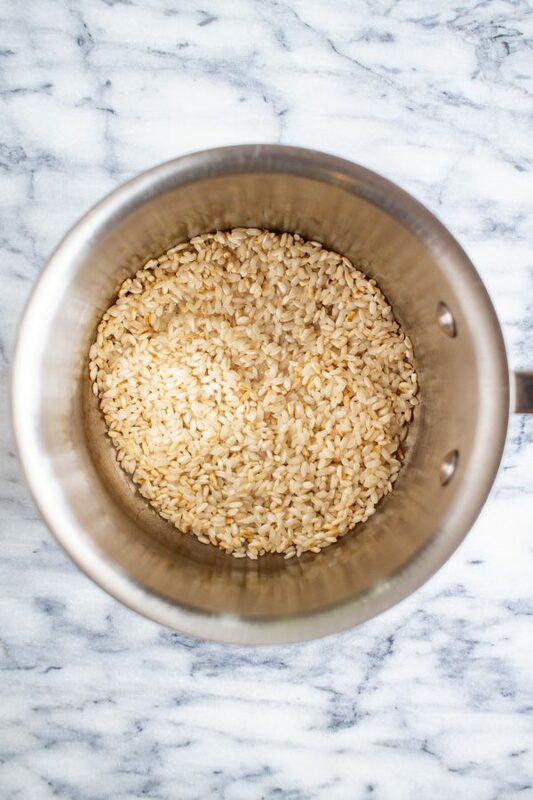 1/4 cup of dry risotto makes just enough for 1 serving. 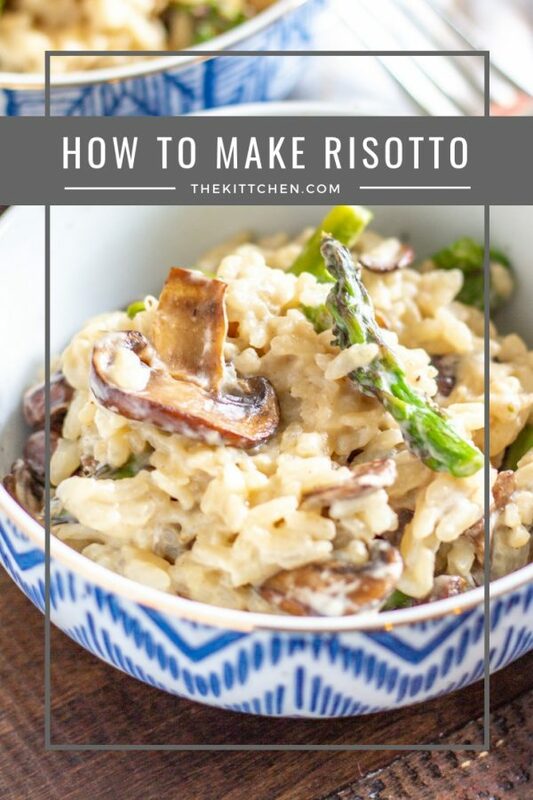 The instructions below are for 2 servings of risotto, but you can easily scale the recipe to feed more people. 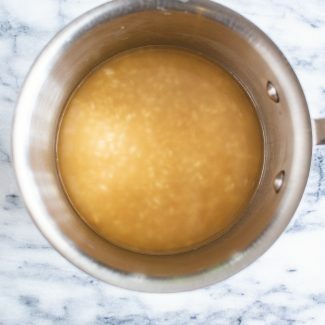 In a large saucepan, heat the broth until it is steaming. Melt the butter in a pot over medium heat. 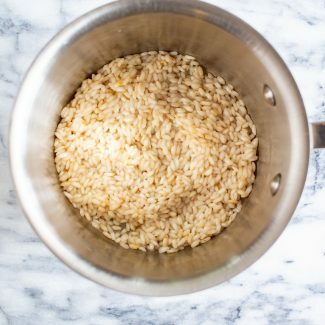 Once the butter has melted, add the risotto. 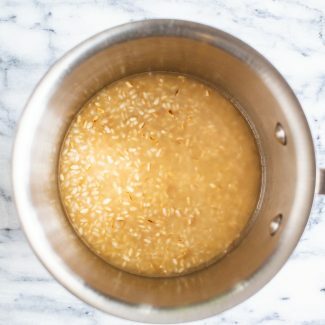 Stir the risotto in the melted butter for 2-3 minutes, until it is very lightly browned. 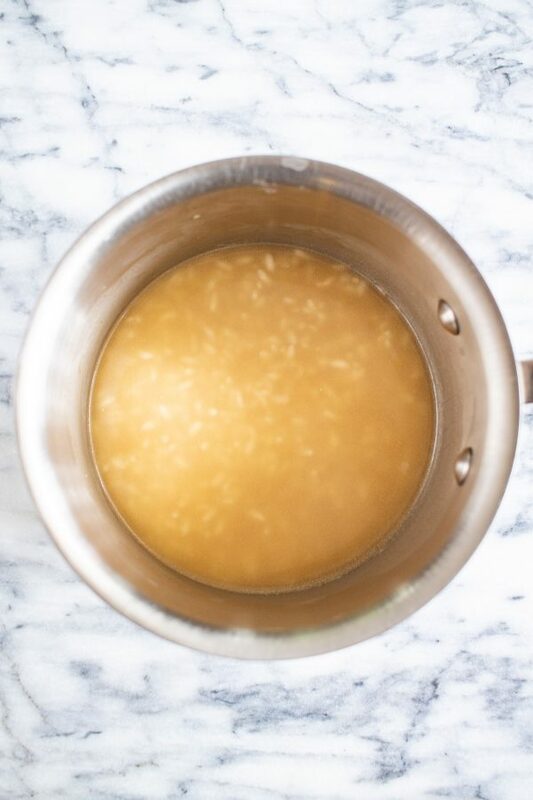 Spoon enough broth into the pot so that the risotto is just covered. 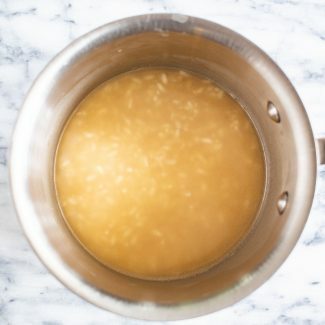 Let the risotto simmer in the broth, stirring it occasionally with a wooden spoon. 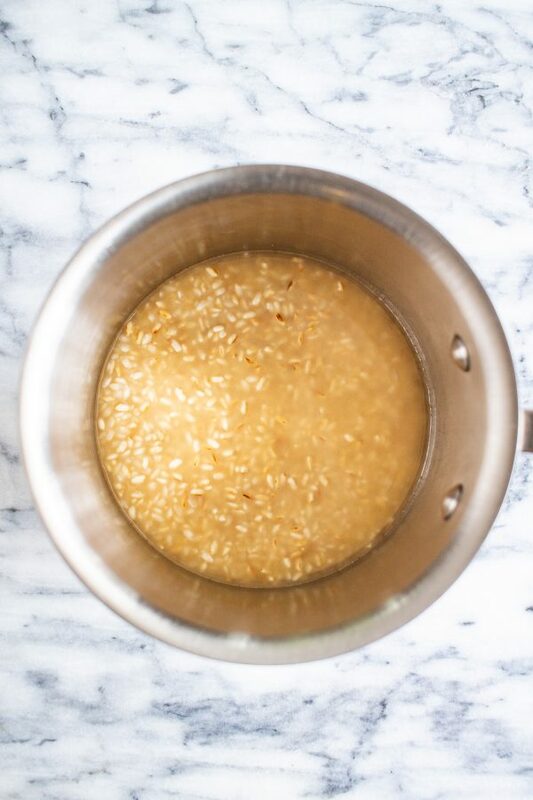 Let simmer until the risotto has absorbed all of the broth. Then spoon in more broth until the risotto is just covered again. 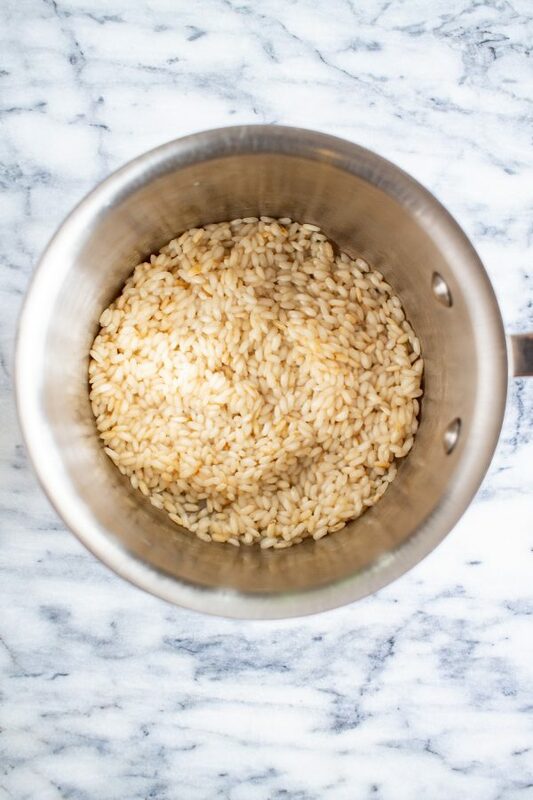 Let the risotto simmer, stirring occasionally until the broth has been absorbed again. Again, spoon more broth over the risotto, just barely covering it. 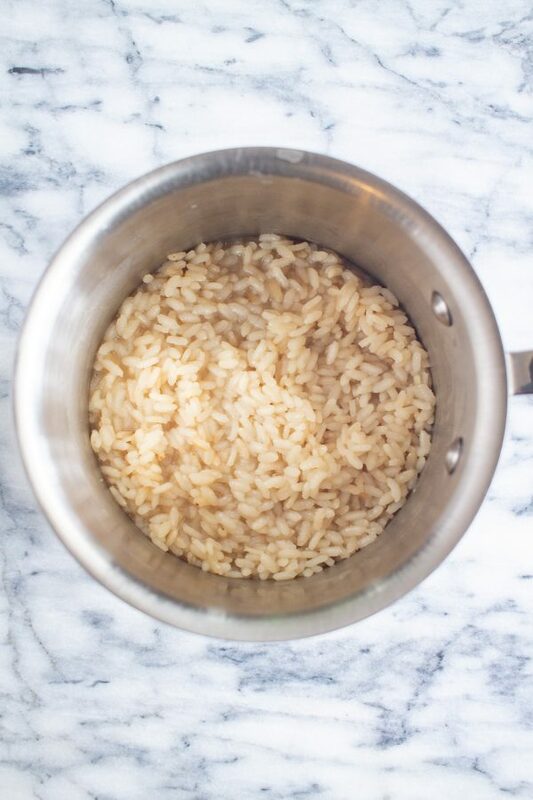 Once the risotto has absorbed the broth, taste it to make sure that it has cooked enough. 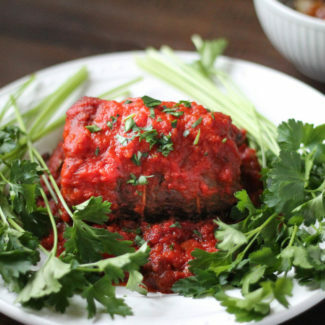 Then season with salt, and add in any vegetables and cheese that you like. I added in 1 cup of sauteed mushrooms, 1/2 cup of sauteed asparagus, and 2 ounces of goat cheese. 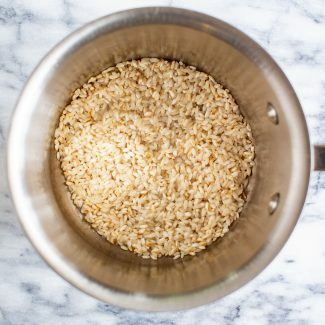 This is a good ratio for 1/2 cup of dry Aborio Rice.